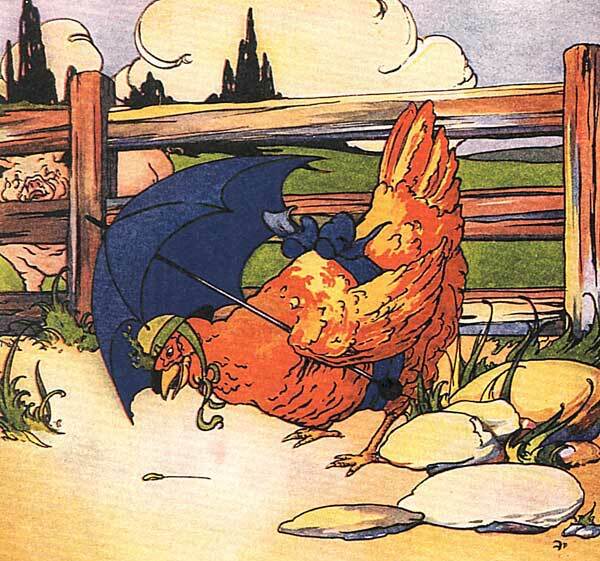 Do you know why chickens always seem to be scratching the ground as if they are looking for something? There is a story behind that. Once upon a time, a hawk soaring in the blue skies noticed a beautiful hen on the ground. Dazzled by her beauty, the hawk came to the hen and asked for her hand in marriage. The hen accepted and asked the hawk to wait until she could grow wings so that she could fly along with the hawk. Upon her consent, the hawk said that he would wait for her and gave her a ring to mark their betrothal. The hen happily wore the ring around her neck. But alas! She was being deceptive! When a rooster that she had promised to marry before saw her ring, he got angry and convinced her to dispose of the ring and keep her promise to him. Seeing that the hawk was gone, the hen threw her ring away. But the hawk came back sooner than she expected and was surprised to see the ring gone. When he enquired about the ring the hen lied to him and said that she had lost the ring by accident. But the hawk saw through her lies and cursed the chicken. He told her that she must find his ring and that he would always observe the hen carefully and make her scratch every patch of ground until she has found his ring. The curse has not yet been lifted as even today, chickens are scratching the ground still looking for the hawk’s ring. A Visayan folktale from the Phillipines, learned from the storyteller's mother as a child. Marissa Farahbod is a graduate student in the Department of Folklore at Memorial University. 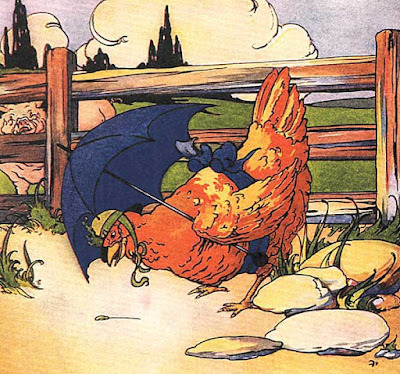 Image: The Little Red Hen, Wikimedia. Nice tale! A very creative explanation for chicken scratching and fear of the hawk. It would also be an interesting exercise to see what the listeners imagined the ring looked like. Thanks so much for sharing this story!